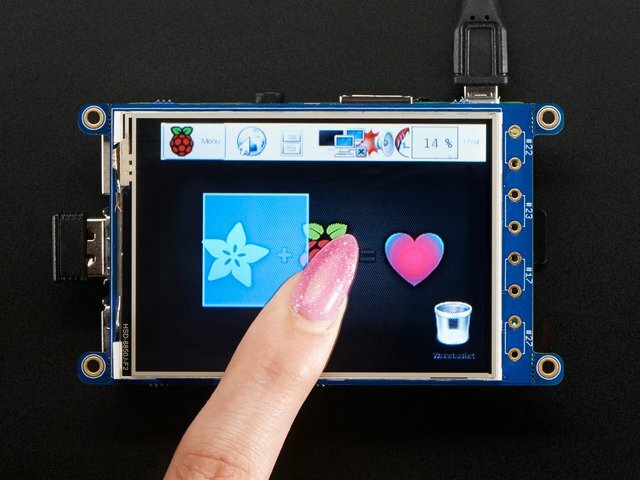 This isn’t likely to replace your digital camera (or even phone-cam) anytime soon…it’s a learning exercise and not a polished consumer item…but as the code is open source, you or others might customize it into something special that your regular camera can’t do. 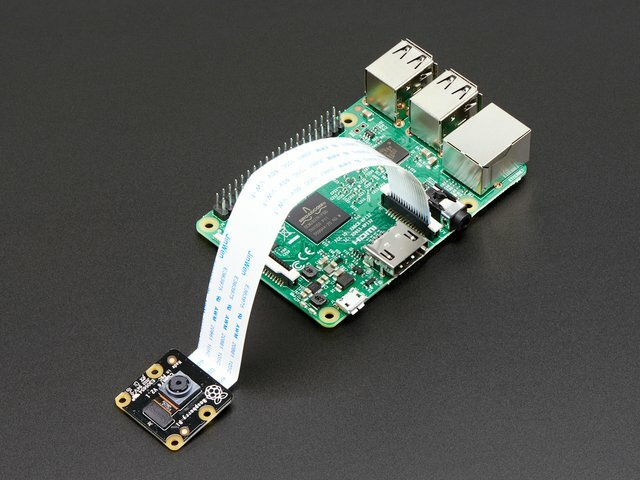 Raspberry Pi computer, any model will work. This project is not especially demanding, so it’s a great use for an older board if you have one around. 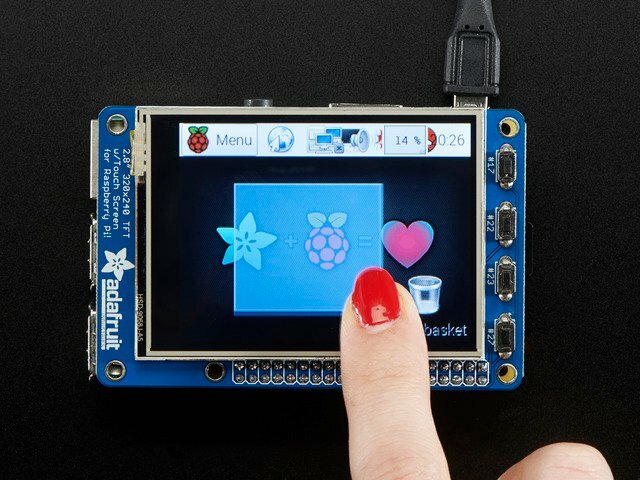 PiTFT display w/resistive touch. Various sizes and models are available — for current Raspberry Pi boards (Pi 3, Pi 2, B+ and A+) you’ll want one of the PiTFT Plus variants. 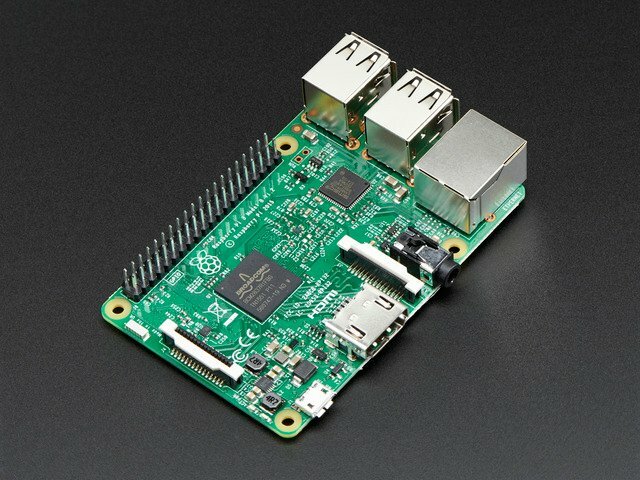 For older Pi boards (original Model B or A), a “non-Plus” PiTFT is needed. See featured product links to the right. 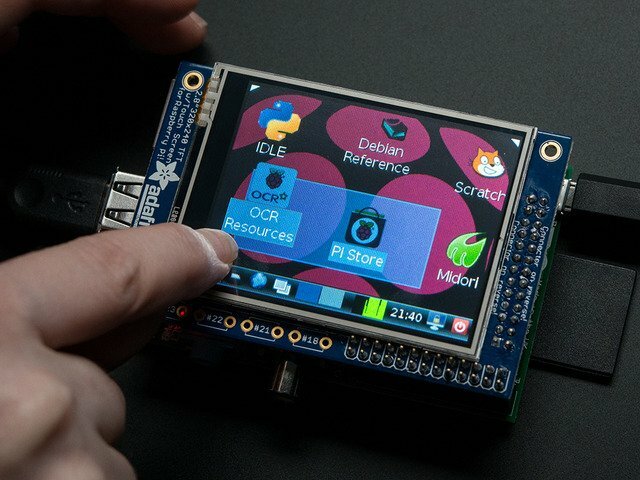 It must be a PiTFT (connecting to the GPIO header, not composite or HDMI) with 320x240 resolution (no higher, i.e. 3.5" PiTFT won’t work), must have resistive touch, not capacitive. 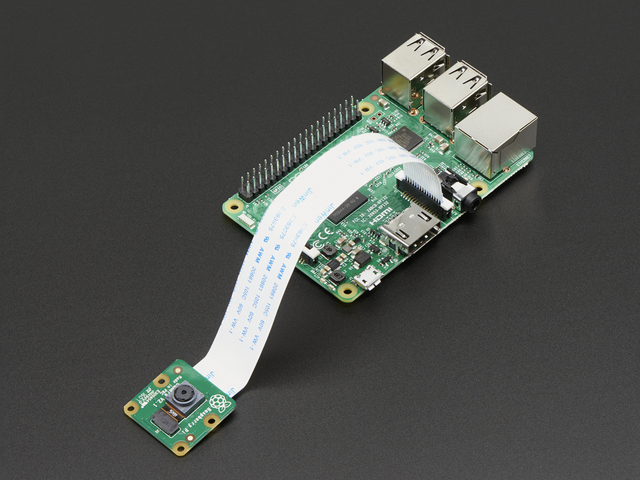 Raspberry Pi Camera Board. Current “v2” cameras or original v1, any will do. For general work you’ll want the regular version. For special projects like security or nighttime nature photography, you can experiment with the infrared version. MicroSD memory card, 4GB or larger. HDMI monitor and USB keyboard are needed temporarily during setup. Once everything is configured and working, these are no longer required. A WiFi adapter allows the camera to upload photos to Dropbox (requires account, free). The Raspberry Pi 3 has WiFi built in, so this part isn’t needed with that board. A USB battery pack makes the whole camera portable. If using WiFi, you’ll want a robust battery pack that can provide 1 Amp (some are limited to 500 mA max). 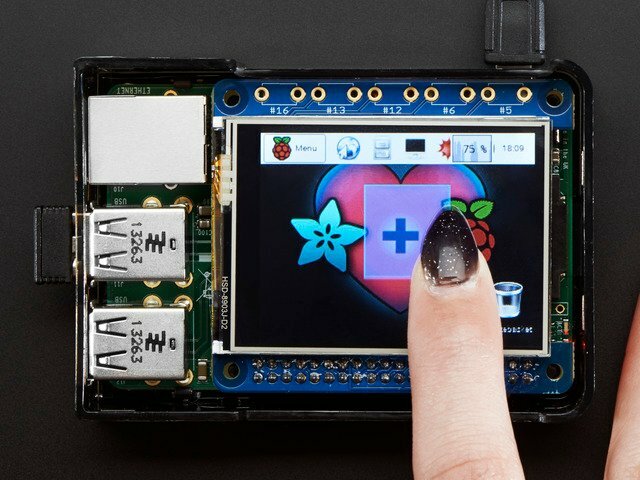 Some additional parts, tools and skills are also required: optional buttons or headers on PiTFT displays sometimes require soldering; some means of holding all the pieces together — could be as simple as a few rubber bands, to a drilled-out plastic electronics enclosure, to an elaborate custom 3D-printed case. This all depends on your available resources. Read through to see what’s involved in the project and come up with ideas along the way. 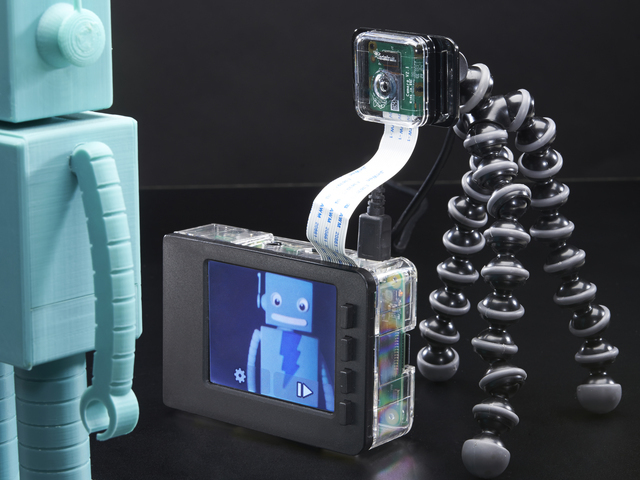 Other Raspberry Pi – Point & Shoot Cameras! James Wolf made a Raspberry Pi - Point & Shoot Camera all inside the original Pi case (except battery). He made a little board attached to a cut down ribbon cable, just for the pull up resistors and the button - instructions, pictures and a link to the simple Python file are located on his site. This guide was first published on Jan 14, 2014. It was last updated on Jan 14, 2014. This page (Overview) was last updated on Apr 23, 2019.